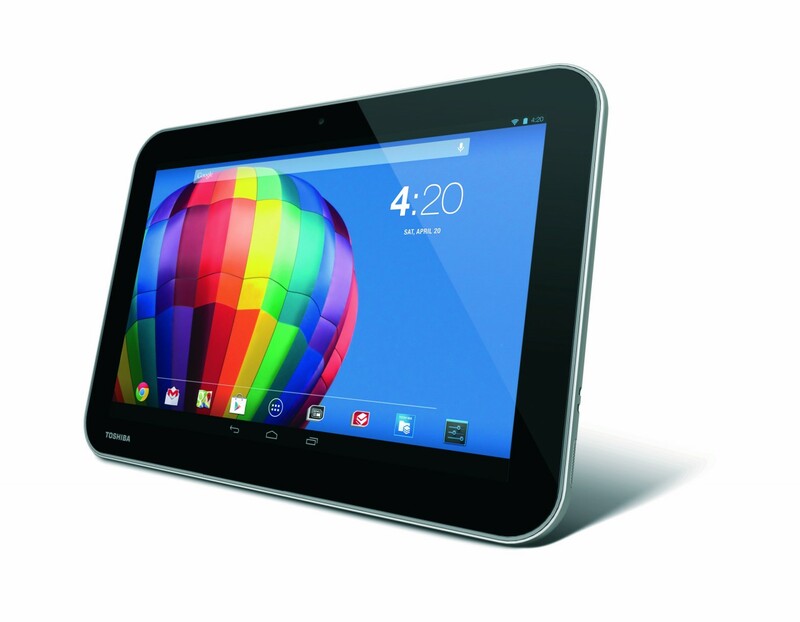 Toshiba are relatively new to the tablet market, but their recent offering of 3 new tablets, Excite Write, Excite Pro and Excite Pure, demonstrate that they’re more than capable of competing with the big hitters in the tablet market. The Excite Pure is the most affordable of the range, and in our opinion, the best model. The Excite Pro and Write are both excellent in their own right, but current pricing means they can’t compete with the likes of Apple and Samsung. So what’s exciting about the Excite Pure? Read our review to find out. The Excite Pure falls within the 10” category, measuring in at 10.3 x 7.0 x 0.4 inches. The design is sturdy and features a two-tone design – silver casing with a black border around the screen. The Pure features micro SD slot, meaning you can expand the 16GB storage to anywhere up to 128GB. Unfortunately the Excite Pure only features one front facing camera, meaning this isn’t the best tablet for budding photographers. At an additional cost, you can purchase a nifty Toshiba Bluetooth keyboard which also acts as a stand. 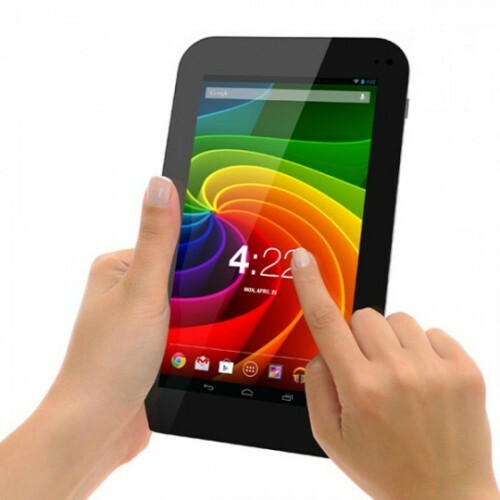 At 10 inches, the Excite Pure offers great screen quality and resolution. The Autobright display has ten-finger multitouch support and boasts a 1280 x 800 resolution. For the price it’s one of the better screens available – viewing HD content will never be an issue. If you plan to play games on a micro tablet such as the Excite, you’ll be glad to hear that it can handle almost anything thrown at it. We were incredibly impressed by the quad-core Tegra 3 processor (1GB RAM) that managed to handle every game we tested, without issue. Benchmark test reveal that the Pure outperforms the Kindle Fire and Asus Transformer but lags slightly behind the likes of the Nexus 10 and Galaxy Tab. If you’re looking for something with a bit more power we recommend you go with something like the Excite Pro from Toshiba.co.uk. Our biggest issue with the Pure was the lack of a rear camera, that being said, it’s to be expected when Toshiba release three differently priced tablets. The Pure’s 1.2MP camera is more than adequate for a basic photo but you won’t be taking it out of the house to take pictures any time soon. If you’re looking for a reliable tablet that will hold its charge for an entire day, the Pure is more than up to the job. When compared against the other tablets, it may not be the longest lasting but it’s definitely up there. We loved using the Excite Pure. For the money (£260) you’re getting a great piece of kit that is more than capable of doing your day-to-day tasks. It’s not often that we have been impressed by a tablet that isn’t from the big hitters in the industry. Having a go at doing an SSD face-off with three lower priced SSDs in a typical PC setup. All three SSDs are tested on the same platform in an IDE set up. 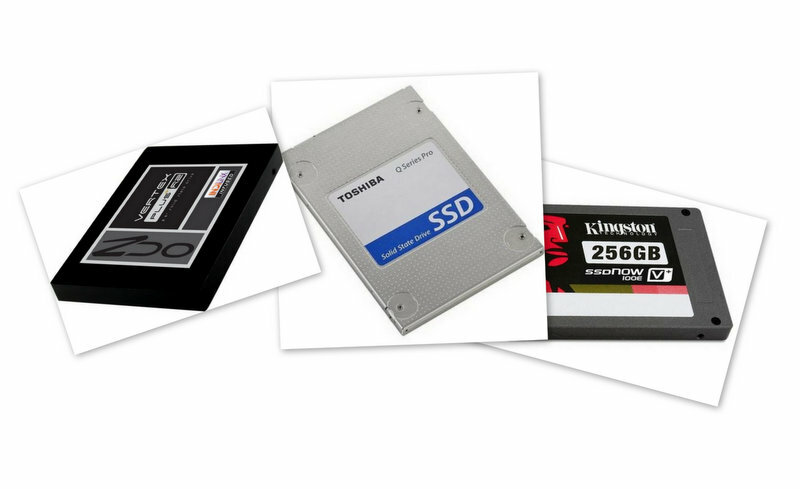 From the expensive Kingston SSDnow 100 V, to the considerably cheaper Toshiba Q Series Pro and including the OCZ Vertex Plus R2 for good measure we see that money isn’t everything when it comes to picking up an SSD. The specs are rather mediocre, although the microSD slot and Quad-Core CPU is appreciated. At this price point there are certainly better options however with the name Toshiba you know you will be getting a good quality device. 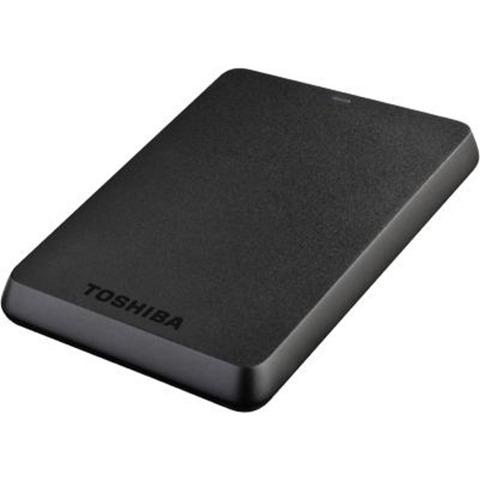 The Toshiba STOR.E BASICS 2.5 Inch 1TB external hard drive is a super small storage device. Featuring a High speed transfer connection via the USB 3.0 port, backwards compatible with USB 2.0 and ready to use with Microsoft Windows could this be the perfect potable device of you media on the go? In this video review we’ll take a look at the physical hardware and then go on to benchmark the drive to see how well it performs. Quickly transfer files with SuperSpeed USB 3.0 and store up to 1 TB of data on STOR.E BASICS external drives. Easy to use and backward compatible with USB 2.0, STOR.E BASICS external drives are ready to use with Microsoft Windows with no software installation required. Continuing the tradition of reviews based on my real world experiences of handheld devices, thanks to the generosity of Tracy and Matt, I’ve had the chance to test drive the Toshiba Portégé G500 for a week or so. The G500 runs Windows Mobile 5.0 AKU 3.2, think of this as Windows Mobile 5.5 as it includes Push email, xT9, WPA2 for WiFi, A2DP for enhanced sound quality for Bluetooth headphones and Internet sharing instead of Dial up Networking. At this point I have to say that returning to WM5.0 from my E650 / S710 was a bit of a wrench. Finger Print reader: quite an innovative addition, great security measure but somewhat poorly positioned and fussy when registering a finger. As I’ve intimated the Form factor is a traditional slider but the Tosh is big, nice looking but big, sliders are traditionally smaller than other devices however even when closed the Tosh is not dissimilar in size to my E650. The screen is pretty good not quite as big or bright as the E650 but a reasonable size and clear my only criticism would be that the on screen notifications are a bit blocky and appear unsophisticated. The slide of the slider is quite satisfying and the finish is visually appealing. But in the hand it feels quite plasticy and I fear might be susceptible to wear. When I showed my wife the device she expected it to have a hidden keyboard due to its size (she’s been spoilt by the E650) and was a little underwhelmed by the aesthetics so a reasonable pass but no distinction. The Portégé G500 is quite small compared to other WM 3G devices though so if 3G is your bag then this could be the handset for you. The hardware buttons on the periphery (power / volume / camera only )- are well located, the volume rocker falls easily under the (right handers) thumb when in a call. The camera button placement is where you’d expect it to be on a landscape camera. The front mounted function keys are logically laid out and provide positive tactile feedback when operated, as do the keypad keys beneath the slider. The soft keys in particular are very responsive and a great size. The SIM slot is hidden beneath the battery and is a git to get a SIM out of, there is an external MicroSD card slot but it’s hidden beneath the back panel, the phone remains powered so hot swapping of SD cards is possible. The flaps covering the headphone jack and USB port are flush with the casing and traditionally, well, flappy when open secured with a slender piece of plastic. The G500 has a mini USB port and thankfully a simple 2.5mm headphone jack, which is provided with an adaptor to allow you to use your own choice of phones with the Tosh wired handsfree kit. Apart for the retrograde step of WM5 the G500 seems pretty zippy to use. The slider is OK, even though I’m not normally a slider fan this one is quite satisfying, the fingerprint reader is not designed to be used with the same hand holding the device and is actually quite limited in scope apart from great the security use that is. Biometric Security: you can unlock the device with a finger through the inbuilt fingerprint reader this is great however it takes a few goes for the finger to register and there’s no indication as to what happens if you fail the verification. The biometric security is probably the single best aspect of the G500 as it reduces time to use from locked and provides a level of security unusual in mobiles. Finger Launch: on paper this application looks great however it’s fundamentally flawed, the premise is that you can launch an app by registering it to a specific fingerprint. This is OK for couple of fingers but you soon forget which is which and, can you imagine how awkward it is to launch anything with your little finger. In any case the finger launch app doesn’t run as a matter of course and to launch it you have to navigate past all the apps you are going to launch with your finger – far from saving time it actually increases the time required to launch apps. a sensible compromise would be to be able to launch the finger launch app with a finger, but you can’t do this. Toshiba Gold Key: this is the most promising application in the Toshiba suite, it’s a Bluetooth proximity lock for your notebook. Goldkey is designed so that when your G500 is in close range of your notebook the notebook is unlocked, when you (well your phone) leaves the area your notebook automatically locks – a great idea. Unfortunately Goldkey only works with a Toshiba Bluetooth stack so unless you have a Tosh notebook or USB card you aren’t able to make use of this app – shame. As I’m exclusively HP at the moment I wasn’t able to test this nor it’s affect on battery life. I’m a bit bemused by both these applications. Tiptalk: is a VoIP application, unfortunately I don’t have an account so was unable to test this application at all. Opera Browser: Toshiba have included Opera as well as Internet explorer, tbh I couldn’t see an appreciable difference in performance between Pocket IE and Opera, I suppose it’s a nice addition for an IE hater. Overall stability is very good, I had no problems with application hangs or voice performance, the Tosh seems very stable, much more so than some other WM5.0 devices I could mention. The handset is a bit big and one handed operation could be easier, it’s a bit of a reach from keypad to action buttons with the slider open the fingerprint reader use is counter intuitive you have to hold the handset in your other hand and pull the finger up the phone to make it work. The Portege G500 is an above average smartphone, however I wouldn’t relinquish either my m3100 or E650 for it, although if I had a Toshiba Notebook that might change my view as the G500 should work well in conjunction with Toshiba’s notebook portfolio. 3G is a welcome addition although somewhat sullied by the size of the device and why Windows Mobile 5.0 Toshiba ? why? The Toshiba specific applications are good ideas but frankly poorly executed, finger launch has not been thought through at all, Goldkey is a great idea but you must have a Tosh notebook or Tosh Bluetooth device. Teleport …….. what????? The Fingerprint reader is innovative and may come into its own with additional applications as a security feature it’s great. In conclusion, the Portege G500 is a reasonable re-entry into the smartphone arena by Toshiba however to get the full benefit of the device it needs to be treated as a Toshiba Laptop companion as which it should be excellent. Go check out the Toshiba Portégé G500 product page on the eXpansys website.